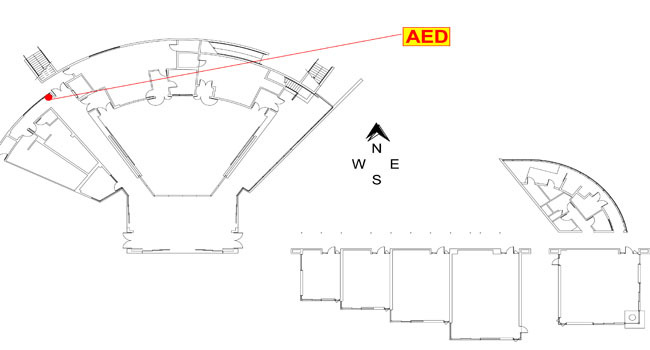 See the AED location in the Robert Paine Scripps Forum. The Robert Paine Scripps Forum is on Scripps Institution of Oceanography campus. Find the Robert Paine Scripps Forum on UCSD's MapLink.